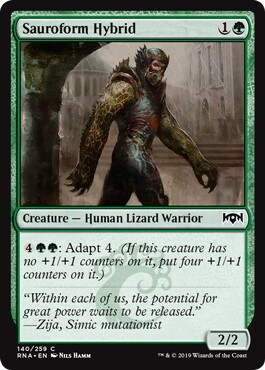 The release of Ravnica Allegiance has introduced us another 5 Guilds. 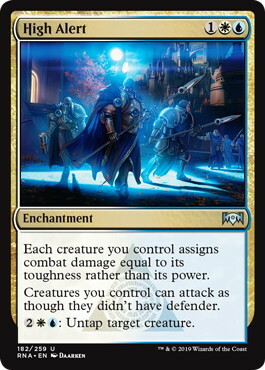 Although at first glance, you’d think it is similar to Guilds of Ravnica, there is a large difference which I will cover in this article. Unlike Guilds of Ravnica, there are a lot more combinations of three or more color archetypes in this set which I will cover briefly. 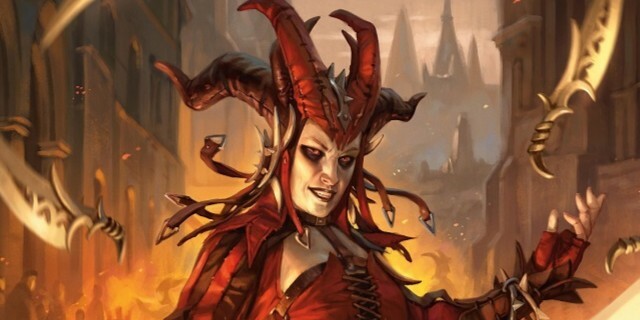 Ravnica Allegiance is divided into 5 Guilds, but the amount of draftable archetypes go beyond that. 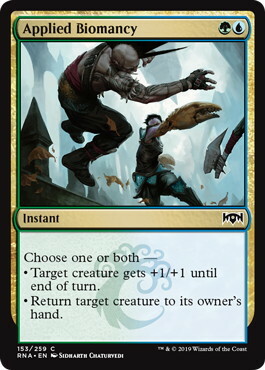 Each of the color wedges that consists of two Guilds is very playable due to the abundance of support of powerful synergies and great mana fixing. Azorius can be played in many ways. 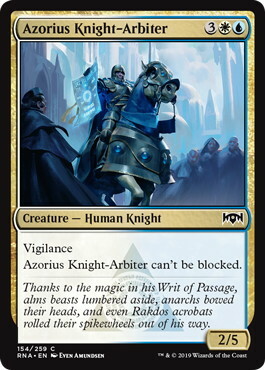 The most obvious one is flyers + hard to block creatures including 《Azorius Knight-Arbiter》 which is one of the key cards of the archetype. 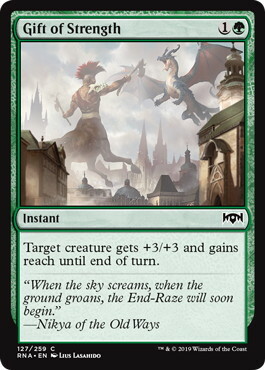 Flyers + evasive creatures paired with removal or creatures that defend well. High toughness creatures in conjunction with 《High Alert》. 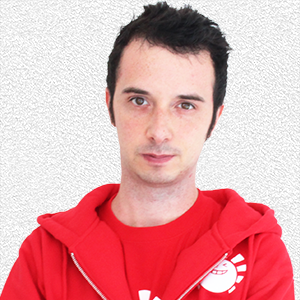 Instants + 《Dovin's Acuity》 in a control shell. Mill cards such as 《Persistent Petitioners》 + 《Thought Collapse》. 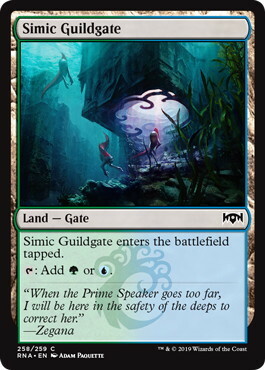 Simic is the Guild which I don’t want to be unless I am confident it is underdrafted in the pod. 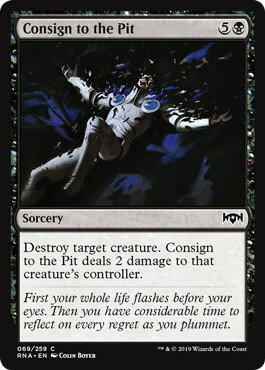 The key to Simic lies in the uncommons which share among the other Guilds and thus are high picks. 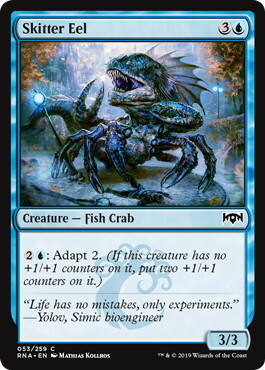 The way I would draft Simic is a less synergistic way and more keeping in mind each of Simic’s creatures is quite above the stats in each mana cost and has the threat of becoming bigger making them very hard to out-size. 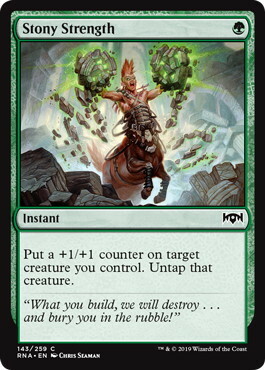 The downside is the strategy is very linear and therefore easily disrupted via removal spells or raced by evasive creatures with disruption. 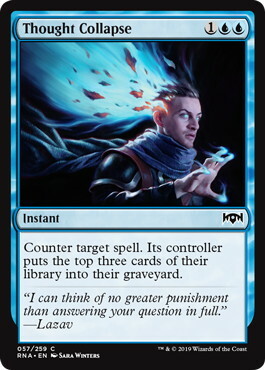 I would value the 1-2 mana combat tricks over any other non-creature spells due to the importance of maximising your mana and playing the largest creature possible each turn. Aim for 19 or so creatures paired with the cheapest combat tricks you can find. 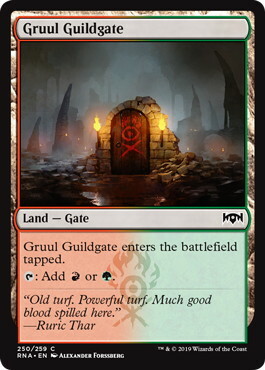 Gruul is another Guild that I dislike for the same reason as Simic. The powerful cards in your archetype are highly contested. This is a deck I like to aggressively take Gates in and take advantage of the power Gate matters cards. 《Gates Ablaze》 often does not even kill your own creatures due to the high size of Gruul’s Creatures. 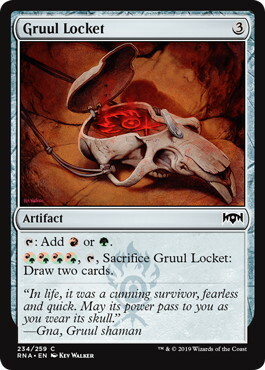 I often like playing Gruul as a control deck that plays very large creatures and pair it with multiple Lockets in order to drop a high stats creature early. 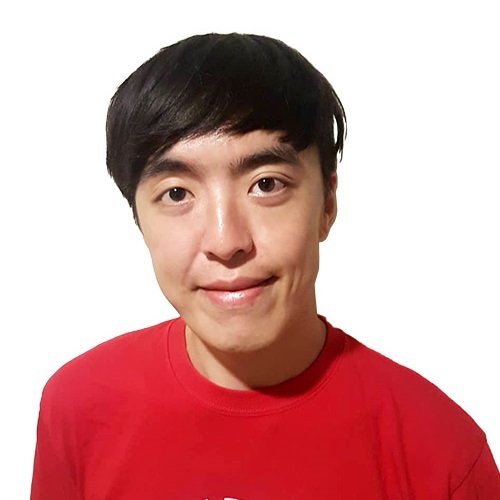 I would aggressively splash cards in Gruul and Ideally have Gates + 《Gates Ablaze》 combo. 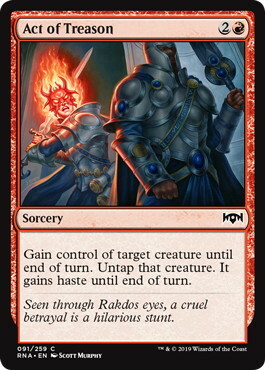 Rakdos is one of my favorite Guilds due to its aggressive playstyle and game-breaking combos that it can have. 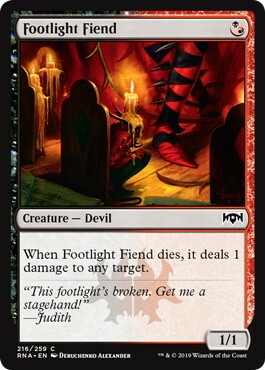 I draft every Rakdos deck intending to play as many 《Footlight Fiend》 and 《Bladebrand》 as I can as they are not very high picks but become very back-breaking in being able to kill two creatures at the low cost of one card and three mana. 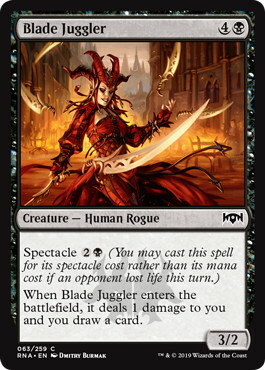 The curve of Rakdos must be very low and the best common for Rakdos is 《Blade Juggler》. It’s very easy to enable Spectacle and it allows you to dig for your deathtouch combos. 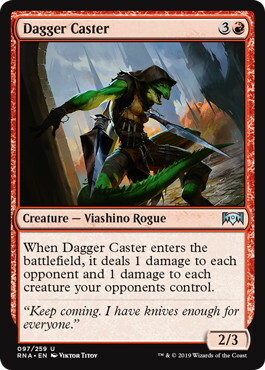 In addition, 《Dagger Caster》 becomes a premium pick for this strategy due to its interaction with 《Bladebrand》. 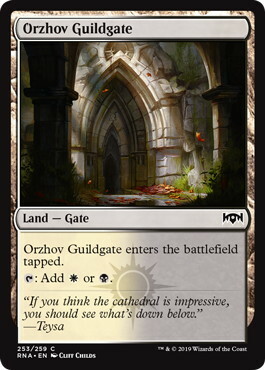 I feel like Orzhov is one of the most drafted Guilds in this set but also the only Guild that can properly support multiple drafters due to its powerlevel in cards. Many packs have multiple good Orzhov cards and therefore multiple drafters get into it very quickly after pack one. 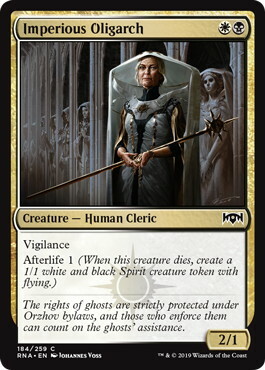 Make sure you look after your curve while drafting Orzhov instead of just picking the best card every time as it’s important to note this is a very tempo orientated deck that wants to capitalize on early damage before winning the race with Spirit Tokens. 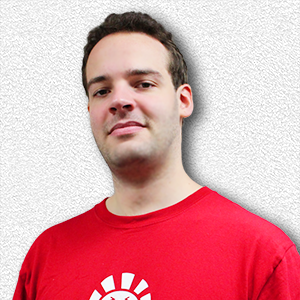 Why Should You Draft Three Colors? Supporting three colors is incredibly easy in this set. 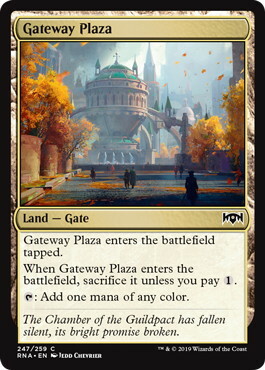 The addition of 《Open the Gates》, Guildgates and the much lower color requirements in this set have made me favor three color combinations. Additionally, the power level of three drop creatures has decreased and therefore I aggressively draft and play as many Lockets as I can, allowing me to power out the more powerful five drop evasive commons in the set while fixing my mana even further. Each of the three color combinations has great synergy with each other and I will go over each of them briefly. This deck is usually based green as it allows for great mana. Primarily a creature deck, this deck takes the early game of Simic and pairs it with the evasive five drops Azorius has to offer. Both these color combinations interact with +1/+1 counters very well. 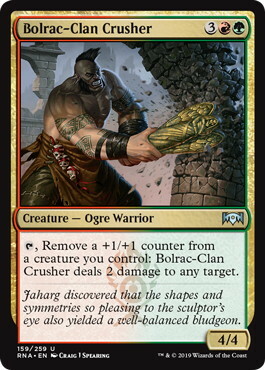 The most important card for Temur is 《Bolrac-Clan Crusher》 as it allows you to reuse Adapt creatures to get additional value out of them. 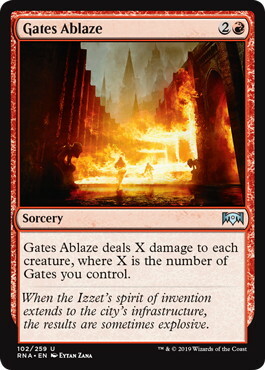 This combination also has the three best “Gates matter” cards and thus should put lots of emphasis on drafting Gates. I would draft Jund when my draft starts off Rakdos, but I am unable to get key early creatures that make Rakdos so aggressive. Instead this deck can play Lockets and cast a 《Footlight Fiend》 immediately and not lose any tempo and curve into the bigger creatures. This deck usually plays very little creatures and runs a high amount of removal taking all the 《Consign to the Pit》 and 《Get the Point》 that the more aggressive Rakdos deck avoids. 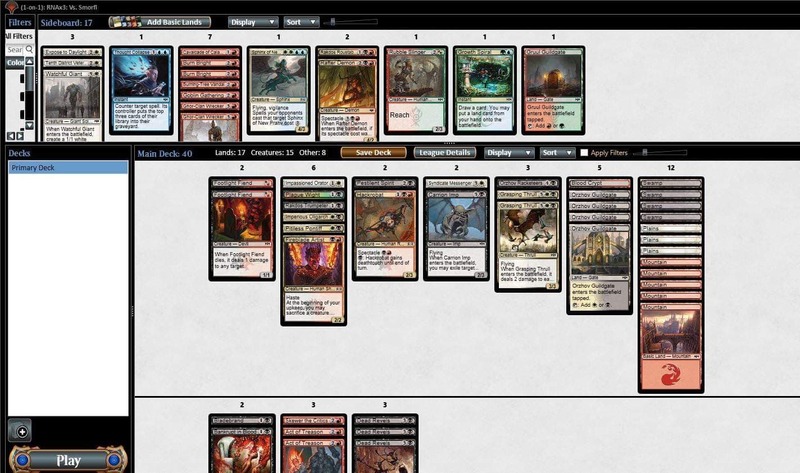 This is my favorite deck to draft (Not to be confused with best). 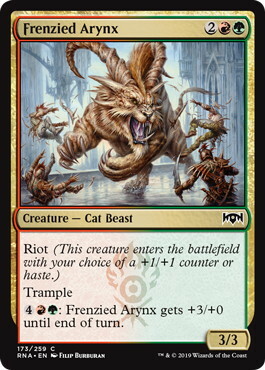 It is centered around creatures that bring value when they come into play, paired with creatures that can sacrifice creatures and then supported with 《Dead Revels》 and 《Act of Treason》. 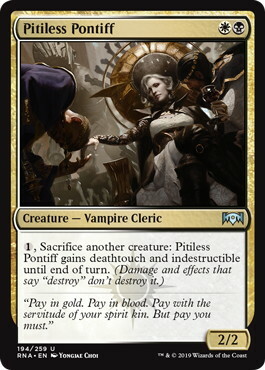 The deck wants to prioritize sacrifice outlets such as 《Pitiless Pontiff》 and pair it with late picks like 《Act of Treason》. 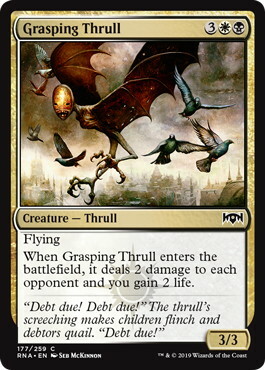 《Grasping Thrull》 is also at its best in this deck. This combination is very easy to draft. You want to prioritize removal, then pick all the expensive evasive creatures such as 《Grasping Thrull》 and 《Azorius Knight-Arbiter》 and use Lockets to cast them on turn four. 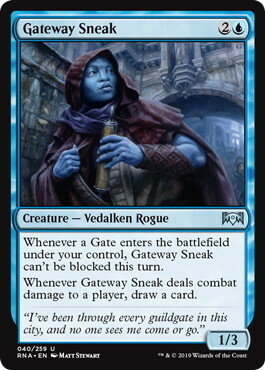 The difference between Gates and any three color combination is that you prioritize Gates from pack one onwards, hard cutting them and forcing other drafters to let you have the high payoff “Gates matter” cards. My biggest advice is don’t force yourself into this archetype unless you have 6+ Gates by the end of pack 1. 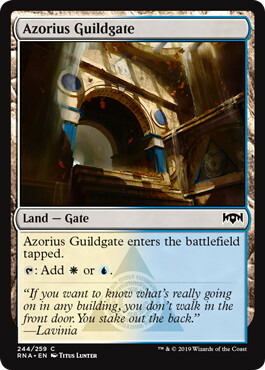 Gates is overdrafted compared to Guilds of Ravnica and it’s not worth fighting someone else for it. 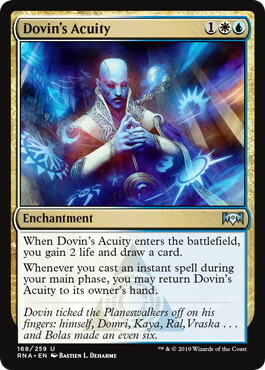 Overall, this set brings a fresh new draft format that is very different from Guilds of Ravnica while having the Guild dynamic we have all known and loved. There are a lot of hidden strategies to explore in this set and I hope this brief overview will help you get an idea of what the possible decks you can draft are.